No one likes to be wasteful, and we are no exception. But, time and time again, we found ourselves wasting fruits and vegetables that had gone bad before we had a chance to use them for smoothies. We solved our own problem by creating SANS, a unique product that pumps air out of your favorite drinks to keep them fresher, longer. Wasteful, no more. 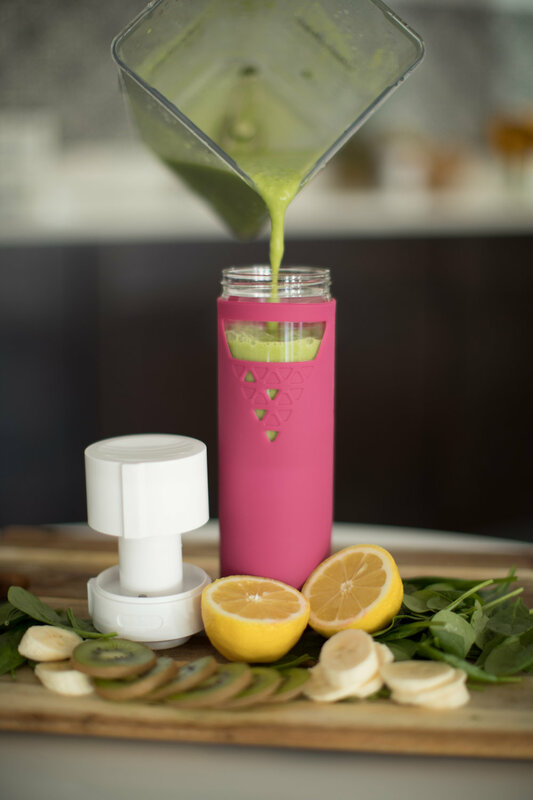 It took over a year to design, create and test to ensure this one-of-a-kind product is perfect to preserve smoothies, shakes, juices, fruits and vegetables and even baby food. SANS began as a Kickstarter project back in February 2016 funded by people who believed in the product. In less than a week, our SANS team successfully reached our Kickstarter funding goal. Evidently, SANS was the fresh drink bottle that people on the go had been eagerly awaiting. Tracy Miller, Creator of SANS: "As an avid smoothie and juice lover, I always felt like it was a race against time to finish my beverage before it went bad. I learned that when blended fruits and vegetables mix with the air, they rapidly oxidize and lose their nutrients and go bad. I looked to the market for a solution and there really wasn’t a product targeting the problem of rapid oxidation in juices and smoothies."